In the state of Meghalaya, Khasi priests have an ancient tradition that involves breaking an egg and calling a person’s name to the gods to determine their fortune. The egg is dropped on the ground, facing the East. The person’s fate is predicted by factors such as how far the egg spreads, whether the yolk is intact, or whether the shell covers the yolk. I think of this at breakfast, watching the hired help scramble eggs into something called “rumble tumble” and toast. Pamu sits at the table reading his newspaper, as a stray cat wanders in through the open door. I look at Pamu, but he just glances at the cat and shrugs. The cat meanders around the room, gives us a bored look, then saunters out the open door. Two children come to the door begging for food and Sarah quietly gives them something to eat. Later that morning, I visit another regional Shillong landmark, Elephant Falls, with Pamu’s sister-in-law. On our way to the falls, the streets are bumper to bumper with black or gray vehicles with 1960s-style, unfiltered exhaust pipes. The chauffeur cracks the front windows and I watch the smoke stream in front of the headlights like clouds of fog. After being in traffic for several minutes, my sinuses are aching, and I have to reach for a scarf to cover my nose and mouth. A dump truck passes us on the right, its bumper simply reading, GOOD LUCK. Daylight reveals Shillong to be a colorful mountain town – brightly colored washlines, school children in white shirts and maroon sweaters, houses piled on top of each other, crisscrossed with power lines and lush overgrowth of mountain greenery. I proceed to the downstairs bathroom to take a shower while Pamu and Sarah are at work – my first experience in Indian-style bathrooms. Many houses in the area simply have a knee-level faucet and large plastic bucket, so I am relieved to see an actual showerhead protruding from the wall. Yet while the floor is tiled, there is no area sectioned off for the shower – no curtain or sloped floor – just regular tile. I look for a drain to make sure the water would be allowed out, but curiously, there is none. How do you shower without a drain? Upon landing in Delhi, the view of the city is obscured by heavy smog – so thick you are unable to see from one end of the airport to the other. The women are wearing traditional saris or the popular salwar kamiz, a tunic and leggings. Most of the men are wearing collared shirts from the 1970s – beige, green, mustard and orange colors – big glasses, rings with large stones, mustaches and gold jewelry. Several wear turbans, berets or the olive-colored shirts of the Indian military. The country of India is a cultural mosaic unlike any other in the world. The mix of traditional, Western and local heritage varies from state to state almost as widely as the climate and topography. India’s three major cities are Mumbai, Delhi and Kolkata, formerly known by their respective English names, Bombay, New Delhi and Calcutta. There is no such thing as a “casual trip” to India, let me tell you – and if there were, the Indian visa process will beat it out of you. After booking my airfare, I went to get a new visa photo taken – no glasses, no bangs, no smiles, per the instructions. I stared solemnly ahead, trying not to look like an angry terrorist in the photo. Packing was a tad bit tricky, as the Indian climate can range from unbearable heat to monsoon to chilly all in one place, depending on the altitude and region. I packed sleeveless shirts and shorts, then immediately unpacked them, remembering that showing ones arms or legs is not considered modest. The only poncho I had was neon yellow, which could be functional in a monsoon, but didn’t exactly say “American flying under the radar.” I packed an entire digestive suite of Pepto Bismol, Imodium and Tums – you name it. And instant coffee for the jet lag, in case I landed in the land of tea, with only hand signals to express my need for caffeine. Being advised to bring wet wipes, but without specifics on why, I threw in a roll or two of toilet paper (never a bad idea), at the very least being fully prepared to roll something if Auburn beat Alabama in the Iron Bowl while I was gone. Wanted to wish everyone a happy fall! Several of you have asked when my next writing project will be available. I’ve started a second book project based on a trip I took to India awhile back. For those of you who enjoyed Coffee, Tea and Holy Water, it has the same travelogue perspective, framed around a trip to Shillong and Kolkata (Calcutta), India. Starting on Sept. 18, I’ll be releasing a portion on the blog on Mondays, Tuesday and Thursdays through Oct. 24. Feel free to like and share with friends on Facebook if any of the posts resonate with you. I hope it inspires and encourages your heart. Be blessed! Doing the The Needful,© Copyright 2017, Amanda Hudson. To celebrate the start of summer, here’s some photos I took on a trip to Sanibel and Captiva Island, Florida earlier this month. 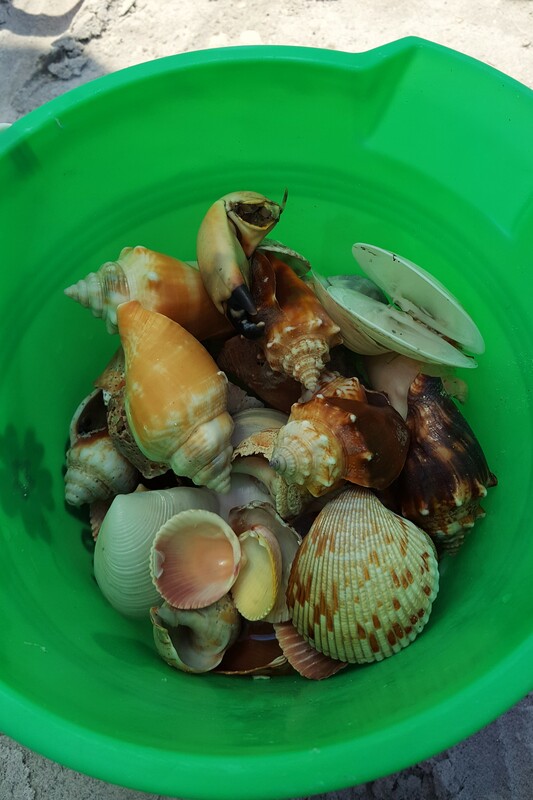 Sanibel is a great shelling beach, just off the coast of Ft Myers, FL — one of the best shelling beaches in the world. Lots of great wildlife on the island. 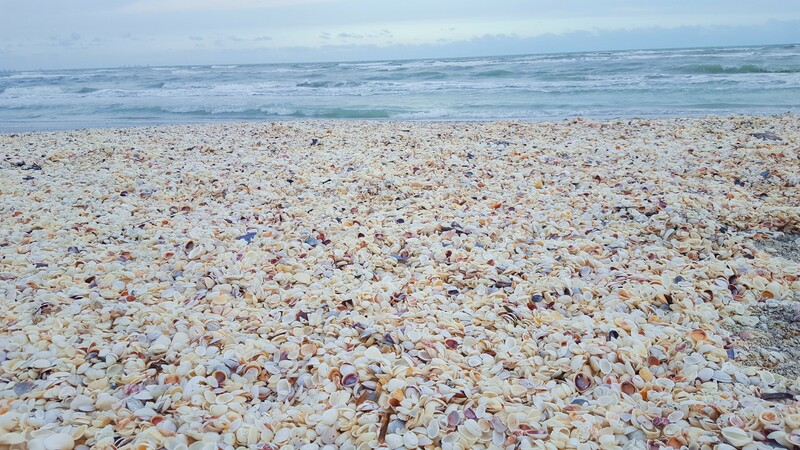 To say Sanibel is a “shelling beach” might be an understatement….shells for days and days. A few of the gems found on the beach. 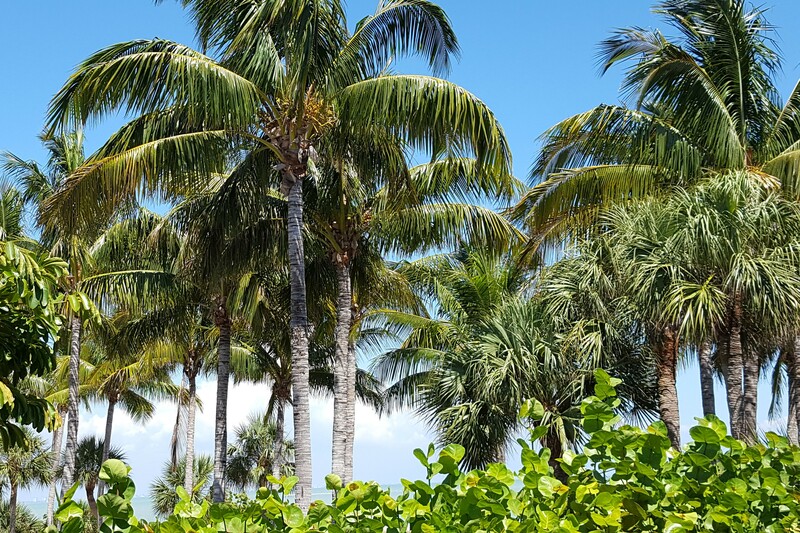 Such pretty palm trees — you could tell whether a storm was coming by looking at the trees. 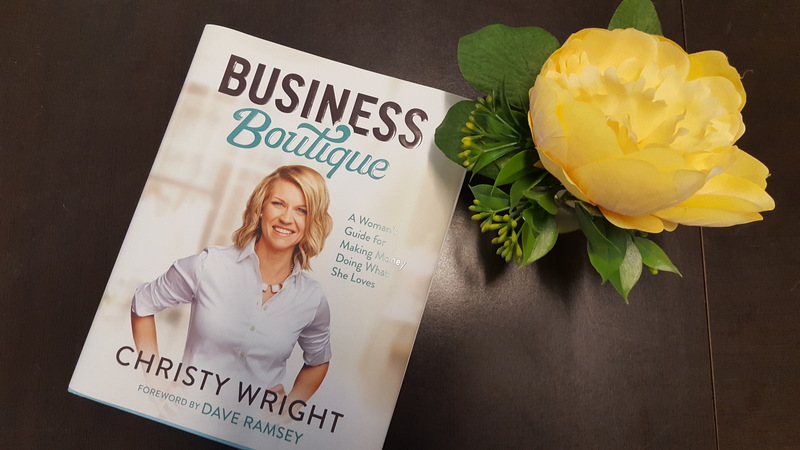 Today’s post is a review of a hot new bestseller – Business Boutique by my friend Christy Wright. A certified business coach and Dave Ramsey personality, Christy encourages mightily while communicating tips and advice designed to strengthen the morale of even the most faint-hearted. Highly recommended for anyone considering their own side business, you can check out Business Boutique and learn more about Christy here! “Sometimes the places where we are stretched thin are the thin places where we catch a greater glimpse of God. And sometimes a kind of miraculous happens when instead of thinking nothing can be done — you believe there’s always a way one thing can be done. In a world where we look around and feel like we’ve all already lost— lost a sense of hope, lost a sense of decency, lost a sense of humanity — stretching our hands in grace and kindness makes everyone win.